Here are our Mitsubishi forklift service manuals. The links below include the forklift repair, parts documentation and service instructions you need for your Mitsubishi fork truck. We offer a massive collection or access to a searchable library or like to one off PDF manuals or printed manual books. Any of them are ideal for your warehouse or forklift-supported operation. 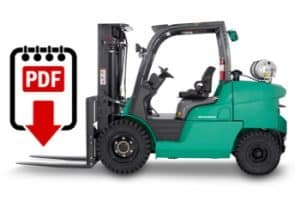 The collection below includes a complete Mitsubishi forklift manuals package that contain all the information you need to repair, overhaul or restore your Mitsubishi materials handling equipment. Prefer to search for a Mitsubishi forklift service manual? Use the search function below, if you don’t immediately see the Mitsubishi forklift manual in our collection. 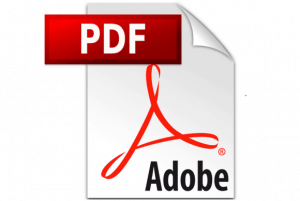 What is a PDF service manual? When it comes to Mitsubishi, the company has a wide range of forklifts to serve your materials handling needs. Our Mitsubishi forklift manuals are available for all the top lift truck models. And they are instantly downloadable in a PDF format that can be read on any computer with a PDF reader. For more information on Mitsubishi forklifts, you can visit this link. Need a forklift manual for a different forklift brand? Need help finding a PDF service or parts manual? Do you need help sourcing the correct service and parts manual? We can help you locate any manual, because we have access to manuals for almost every make and model of lift truck. Contact us. We will review our 10,000 title library. We will respond with info and a correct link. Email us at [email protected]. You can also use the handy form below.